I'm happy to welcome our second handmade artist/crafter!! Please welcome Piper from Just Hangin'! Here she is to introduce herself. My name is Piper, and I'm 12 years old. I like arts and crafts a lot, I play violin and trumpet, I love to read, and I'm into gymnastics. One day I plan on becoming a doctor. No, I don't have a blog. I'm too young and too busy! But my mom set up a website and a Facebook page and just put up a Pinterest page, but I don't think she's finished with it yet. When I was turning 8, I asked a lady to come to my birthday party to teach my friends and me jewellery making with beads. 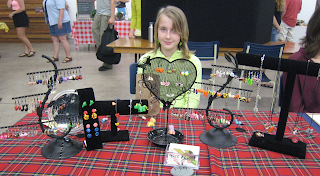 When we moved to Nova Scotia, I started selling my jewellery at the local market. Then, after I realized lots of other kids were starting to make beaded earrings like mine, I tried something new. I love working with polymer clay. 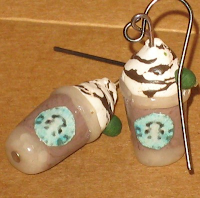 I like making tiny earrings and figures that make people grin and go, "Wow!" Here's a picture of me at the market last Sunday. I'm also sending you pictures of my Angry Bird earrings, Starbucks Chocolate Frappuccino earrings, and Bulldog earrings. 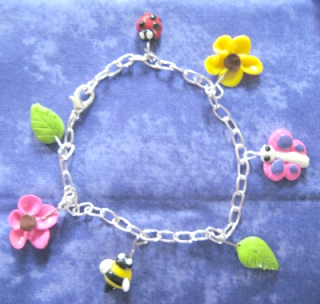 There are two examples of hair clips, and my Garden bracelet. 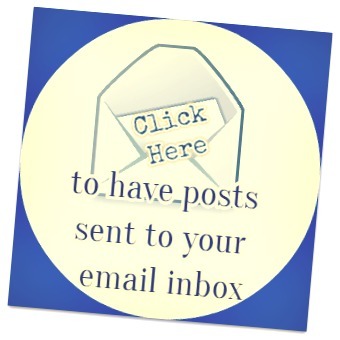 I have loads more on my website, which my mom is always trying to keep updated, but it's hard because she's busy, too! Thank you Piper for sharing your creations with us! It's amazing that you create all of these by hand! I wish you luck in your crafty ventures! 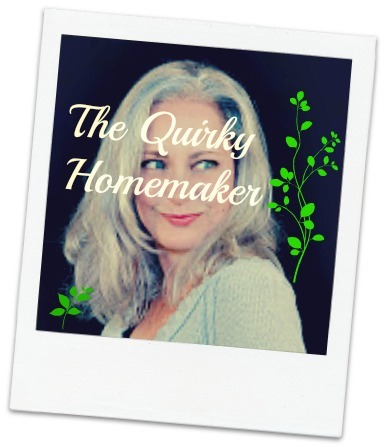 If you are a crafter/artisan and would like to be featured, please email me at heartfeltbalancehandmadelife(at)yahoo(dot)com with the title "handmade"